As a parent, you know how important regular dental care is to your child’s health, but if climbing into the dentist chair makes them feel fearful or anxious, even a simple cleaning can become a highly stressful task. 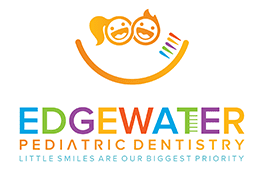 At Edgewater Pediatric Dentistry in Edgewater, New Jersey, board-certified pediatric dentist, Rosalie Nguyen, DMD, and her team understand the worries that affect many pediatric patients. To relieve dental anxiety and help children feel relaxed, they offer mild conscious gas sedation with nitrous oxide. To learn more, call the office or schedule an appointment online today. Nitrous oxide, or laughing gas, is a safe, mild sedative that’s administered through a small mask placed over your child’s nose. As your child breathes through the mask, they inhale the soothing medicine along with oxygen. Known for its faintly sweet aroma, nitrous oxide produces an overall sense of calm and relaxation very quickly, often within a matter of moments. For anxious children in the dentist chair, nitrous oxide can mean the difference between a nerve-racking procedure or a relaxed, calm experience. It’s also helpful for children whose strong gag may interfere with dental treatment. As one of the safest sedatives used in dentistry today, nitrous oxide is well-tolerated by the vast majority of patients, including young children. Because Dr. Nguyen and her team control the concentration levels of the gas throughout the procedure, they can easily and accurately adjust it for pediatric patients of all ages. Even though nitrous oxide can be very relaxing, it won’t make your child fall asleep. They’ll be able to maintain control of their reflexes and communicate normally while sedated. How should I prepare my child for nitrous oxide? Before Dr. Nguyen can administer nitrous oxide, she needs to know what medications your child takes, if any, and whether they have a respiratory condition that makes breathing through their nose difficult. Having a stuffy nose or a respiratory illness can significantly limit the effectiveness of nitrous oxide, so it’s best not to schedule dental appointments that require this type of sedation when your child has a cold or is dealing with the effects of seasonal allergies. Your child should have little to no food for at least two hours prior to their appointment, as inhaling nitrous oxide on a full stomach may leave them feeling nauseous or make them vomit. The team at Edgewater Pediatric Dentistry will give you complete instructions ahead of your child’s scheduled visit. Does nitrous oxide have any aftereffects? Compared to other types of sedation used in dentistry, such as oral sedatives and intravenous (IV) sedation, the effects of nitrous oxide wear off relatively quickly. Dr. Nguyen and her team may also use oxygen to help flush the nitrous oxide from your child’s system even faster. To find out if nitrous oxide can help put your anxious child at ease in the dentist chair, call Edgewater Pediatric Dentistry or schedule an appointment online today.